The ABC of Murder: Catch The Last Express, Before it Disappears Again! Catch The Last Express, Before it Disappears Again! I had thought that this amazing computer game, The Last Express, was extinct, since the company sadly went into administration in the late nineties, but I’ve just found a downloadable version here. I first fell in love with this game when I was a student at university. Indeed, I believe I completed it in a week in which I barely left the house, existing on only Bombay mix bought from the local newsagent and cherry coke (healthy, I know). If you’re a murder-mystery fan then you really don’t want to miss out on this. 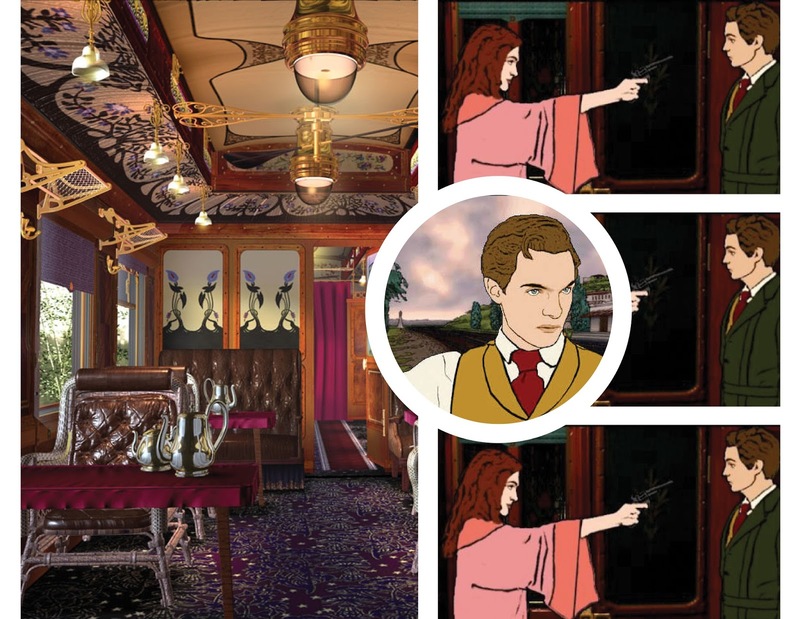 The game is set in 1914 aboard the glamorous Orient Express. The player takes on the role of Dr Robert Cath, an American, on the train’s final journey from Paris to Constantinople just before the outbreak of the First World War. Cath, already wanted by the French police as he is suspected of the murder of an Irish police officer, is contacted urgently by his old friend Tyler Whitney, to join him on the Orient Express, gateway to the East, and a possible exit from all his troubles. Cath boards the train via a motorcycle and looks for Whitney, who is already on board. However, from the moment he steps onto the train, Cath becomes involved in a maelstrom of treachery, lies, political conspiracies, romance and, of course, murder. Still not convinced by this retro gem? Check out the game trailer here. Great post! I hope they bring out a retro iPad version at some point. Also, I read that a production company is currently making a film adaptation! I loved this game and haven't played it for years, it is great to read about it again! Lovely blog, looking forward to more! Very excited about the film adaption!